interesting subject, great bokeh and tack sharp -nice capture! It looks like the chicory flowers, only orange. Sharp photo, I really like the burnt orange tones. I have no idea what it is. It reminded me of what we call 'Indian Paint Brush' but I thought that those grow singly. Anyway, it was a blaze of colour in the woods. I was looking for fungi but it's been too dry. 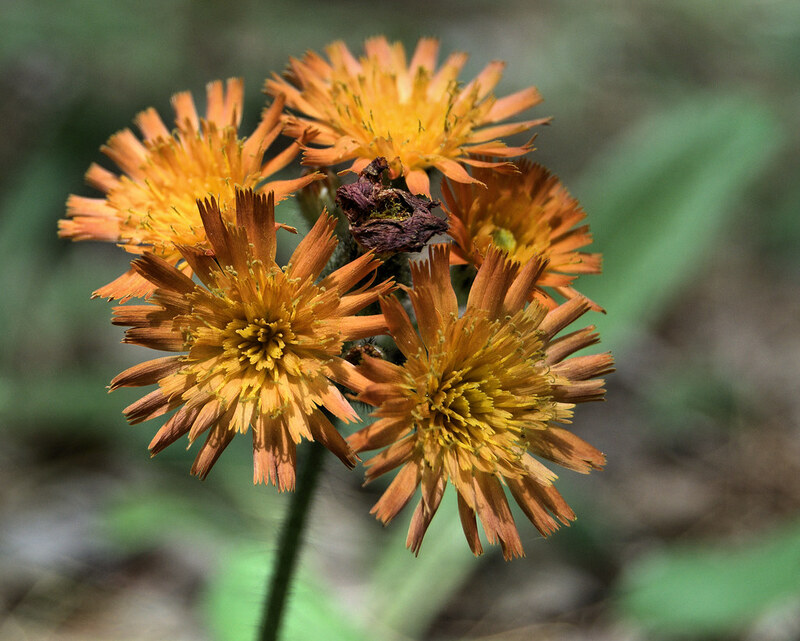 Beautiful crisp, sharp shot of the Orange Hawkweed Bambi. Very nicely captured.